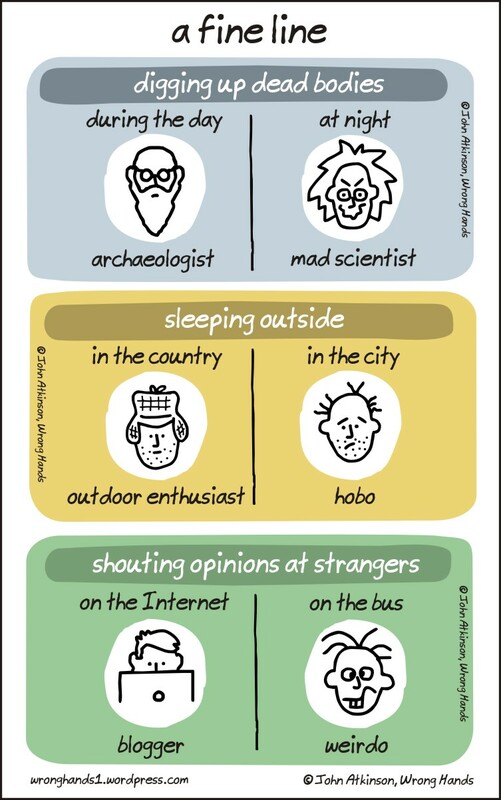 I’m pretty sure I’m a hyphenated Hobo-Weirdo. That is brilliant. Thank you, it made me laugh. i like the last one. blogger vs weirdo! haha. Indeed. Social setting & status make all of the difference. Haha. The blogger vs wierdo one! Wow. Everything about this is so true.